For fashionable vintage clothing in Santa Rosa, you don’t have to look any further than historic Railroad Square downtown. At Hot Couture, we’ve been curating an extensive collection of authentic vintage clothes for 35 years, and our owner, Marta, offers 45 years of experience in buying and selling vintage clothing. Every year, representatives from Hot Couture exhibit vintage in shows in Northern and Southern California, including the Vintage Fashion Expo in both San Francisco and Downtown LA, A Current Affair in Richmond, and various Dapper Day events. It’s an excellent opportunity to view hundreds of gorgeous and unique pieces. Our philosophy is finding high-end clothing in excellent condition and selling it at a reasonable price point, offering our customers truly unique and sustainable clothing that still fits within an average clothing budget. Sustainability is important to us, as is curating pieces that are well-made and stylish. We choose fashionable vintage clothing for display in our Santa Rosa store by considering the season and current fashion trends. Vintage styles are always coming in and out of fashion, and with our extensive collection, we’re able to consistently rotate the pieces on the floor racks so that our customers can find authentic vintage clothes that fit in perfectly well with modern styles. We serve a variety of people, from young fashion lovers to older patrons looking to find the classic styles they loved. Our collection ranges mainly from the late 1940s to the mid-1960s, with other pieces up to the 1980s and as far back as 1890. Our team wants to make sure everyone who wants to by vintage clothes can afford them, which is why we keep our price points reasonable. Most of our dresses are available from $40-$70, and men’s shirts range from $20-$50. 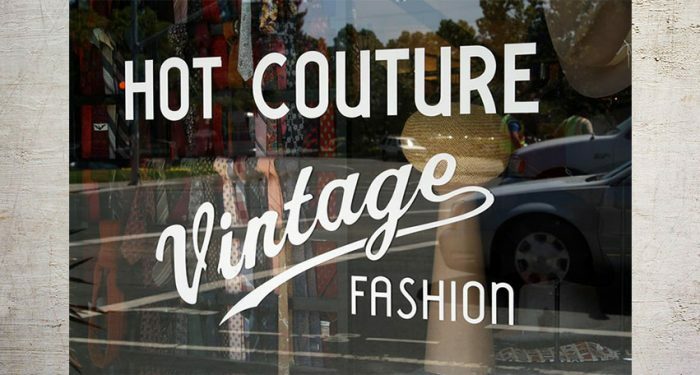 There’s an impressive selection of fashionable vintage clothing for both men and women waiting for you right here in Santa Rosa at Hot Couture. We also buy vintage clothing and offer historical costume rentals with custom styling, including shoes, purse, jewelry, hat, and whatever other accessories complete the outfit! Next time you’re looking for that perfect piece, come see us.